A good project for someone which is not fetching its value. It has 8 days to go. I can't see it failing to fetch a good price. I really fancy that but I have too many toys I want to keep! A touch more brass mind....... tempted to sell both my toys and bid on this. The cost of the car and repair would probably make the same price as a good one. 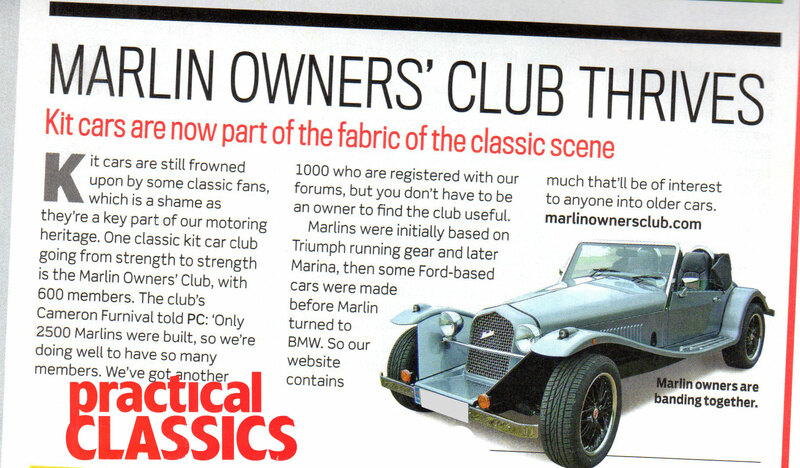 Personally I would sooner have the Marlin, a more modern car! Yup I know, mine would be an Austin Healey 3000 Mk1 BN7 like the one I sold in 1974 for £70. It was rotten at 14 yrs old! £1200 not a bad price for the seller considering, a good price for the buyer. Anyone here?